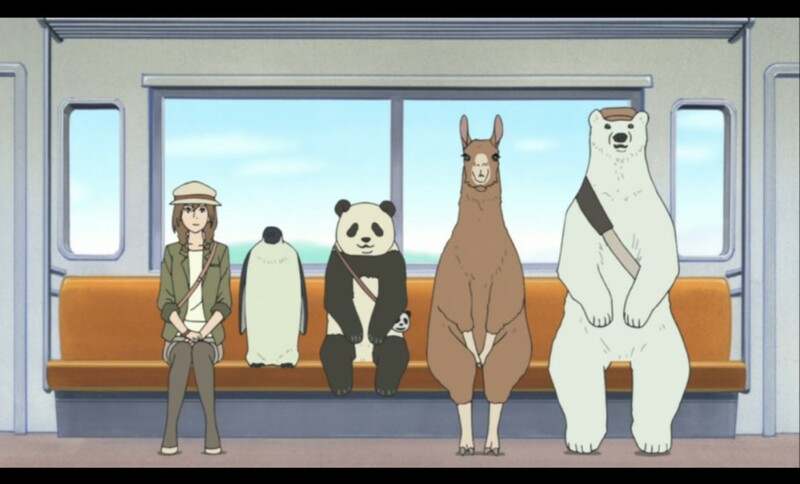 Some would say that we didn’t really need 50 whole episodes of Polar Bear Cafe, a show that was basically about zoo animals sitting upright and drinking coffee; some people are idiots. Here are some of the top reasons why my favorite slice of life show really should come back for a second season, and fast. Keep in mind, just because I ultimately want the two of them together, that doesn’t mean they can’t take some interesting detours along the way…even inter-species detours, since Sasako and Llama have a special connection. 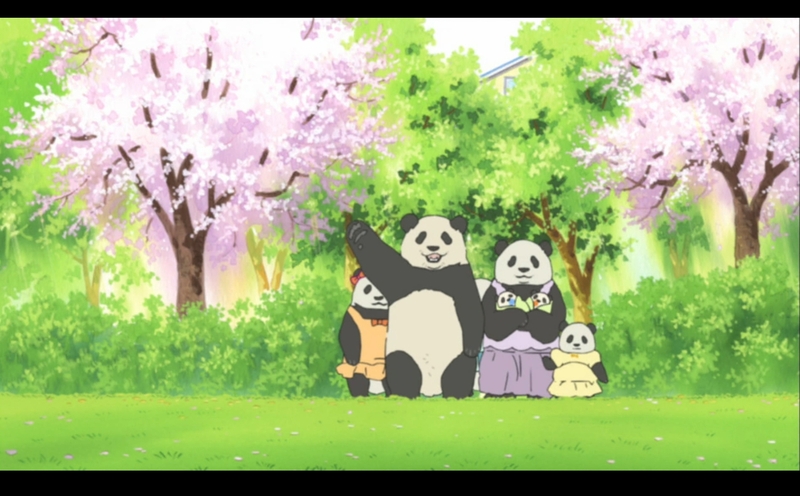 And Mei Mei, Panda’s sister, wants to wear Handa like a leather jacket. This has the potential to turn into one colorful love triangle– err, parallelogram. With fur. 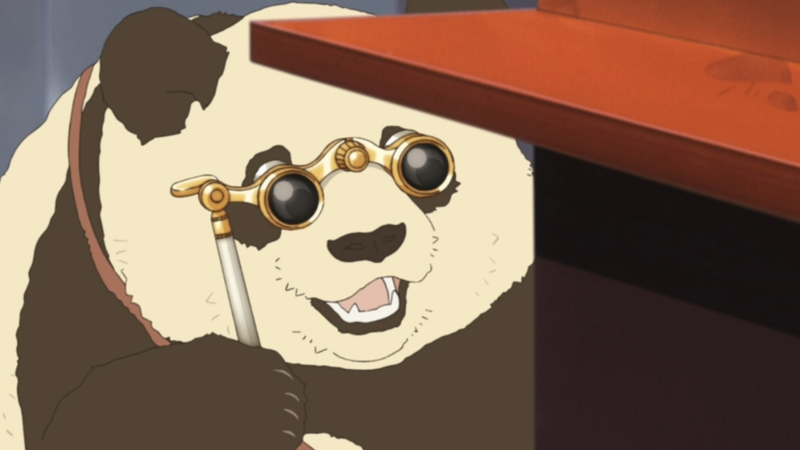 It’s not surprising that Panda’s secret investigation of Penguin’s private life never went anywhere, since Panda is terrible at everything, but inquiring minds still want to know: who is Penguin, really? Does he have a part-time job, or is he some kind of blue-blooded trust-fund bird who can afford to sit around the cafe, drinking cafe mocha all day while everyone else works for a living? Did his family make its fortune off of the blood of other penguins during the Guano Wars, hence his reticence to talk about his past? And how does he get up on that bar stool, anyway? It’s way too high for him; he can’t jump that high. 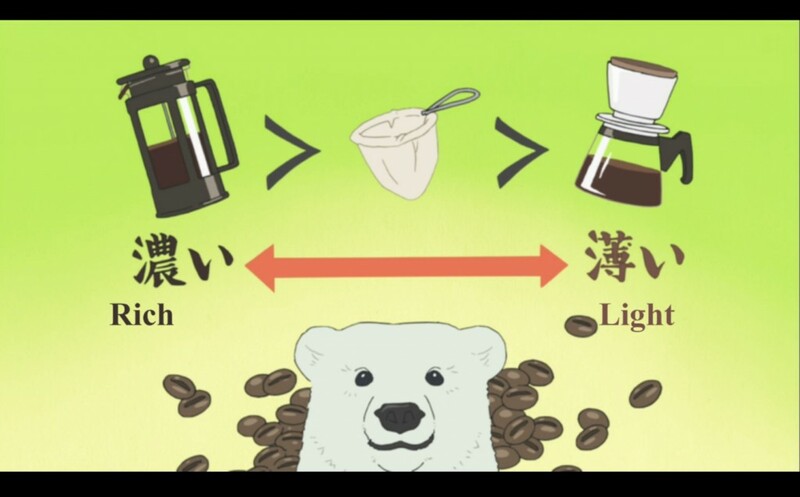 I don’t know about you, but I never learn so much about coffee as when Polar Bear explains it to me. A few more episodes of Coffee Roasting for Dummies with bears and squirrels in aprons and I may even give in to the temptation to buy my own French press. 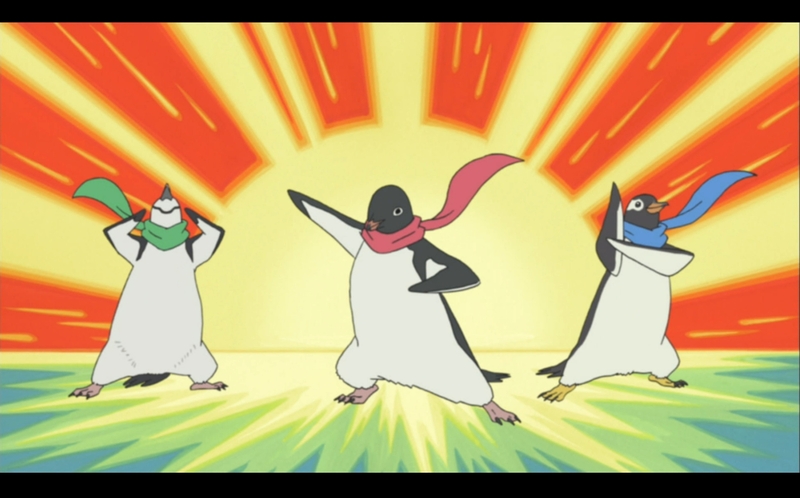 I could watch South Pole Squad: Penguinger, the show-within-a-show, pretty much all day: it’s like a mix of my two favorite things in the whole world, Sailor Moon and penguins. Besides, there’s so much more dramatic material to mine. How will Chinstrapger, Adelieger, and Gentooger react when a rogue African Black-Footed Penguin begins solving crimes at the South Pole, going by the name Green Rangerger? Can he be trusted, or is it all a scheme by the nefarious Rockhoppers to kidnap all-hedgehog boy band (and international singing sensation!) 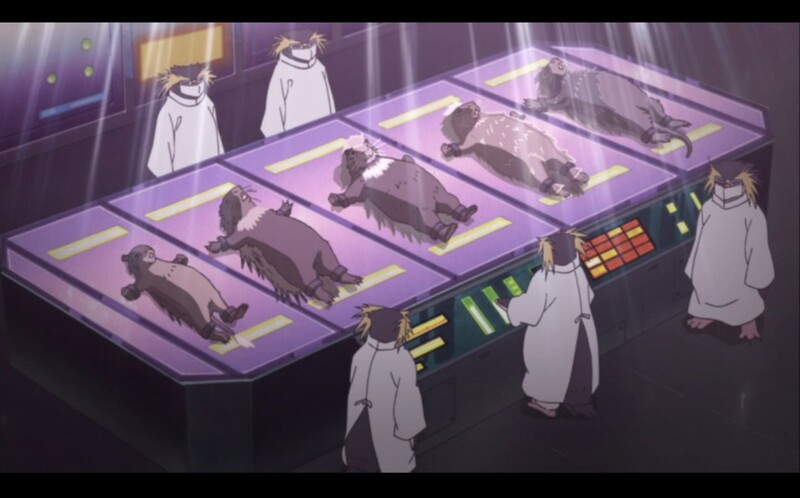 Yama Arashii once again? Next time, on PENGUINGER!!!! I honestly don’t even remember why Mr. Full-Time Panda had to move to Singapore with his family (zoo downsizing? ), but it’s terrible. 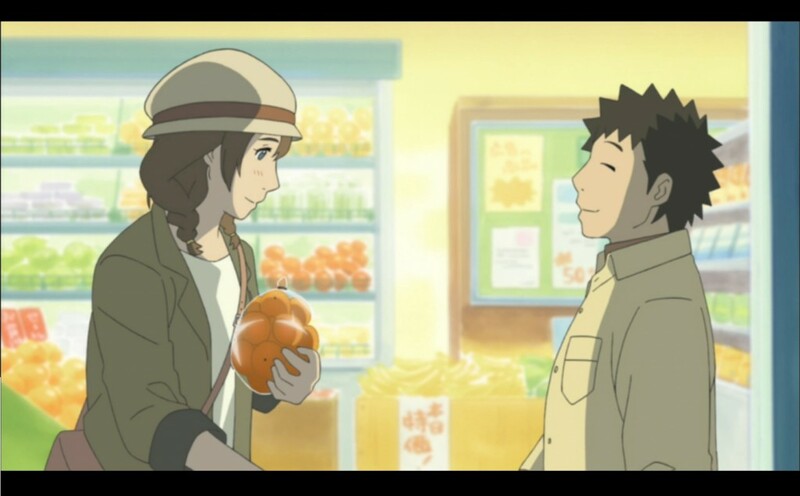 It’s not enough that he got to come back to Japan for a week in the series finale, he needs to be back at the main zoo, stat. I mean, look at those adorable panda kids! Grizzly could babysit, the thing just writes itself. 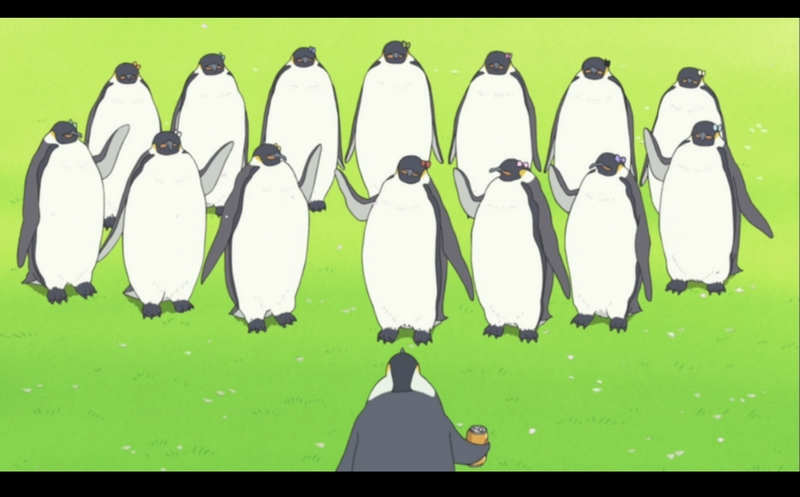 As of episode 50, 14 eligible ladies are vying for Penguin’s tender attentions, then the show just ends. Excuse me? I don’t think so. Clearly, the battle for Penguin’s heart and flippers needs to be spun off into a reality show, preferably some combination of The Bachelor and Top Chef, where the ladies cook different fish dishes for a bowtie-wearing Penguin, and he rewards the ones who tickle his fancy with roses and an espresso beverage of their choice. You could even throw some Temptation Island in there for some steamy Antarctic action…maybe? I have no idea what Temptation Island was about, it just sounded good. Or he could go the Mormon route and marry them all. Then Bravo could produce Real Housewives Who Are Birds. Poor, poor Llama. How much of his time on the show was spent gazing longingly at other parts of the zoo, wishing that couples and small children would flock to his exhibit as well? Even with his fabulous eyelashes, everyone called him boring and he could just never catch a break. 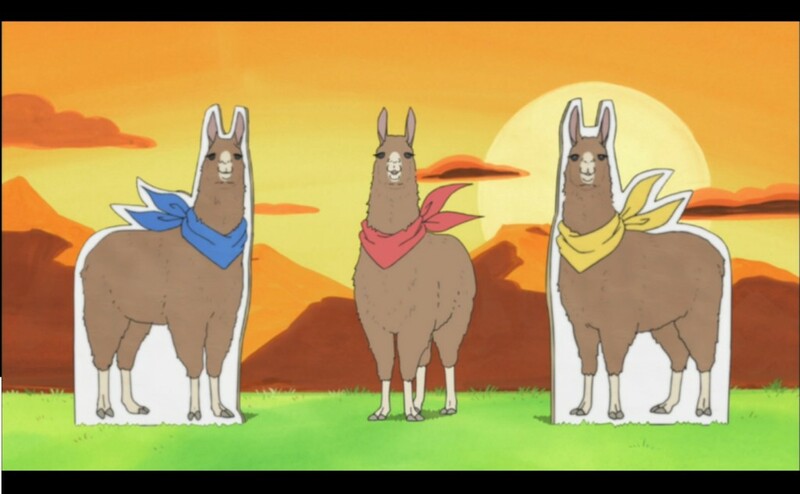 The poor thing was so desperate, he even tried to make a cheap rip-off of Penguinger called “Llamaranger”; a trained zoologist should have recognized that as a cry for help.. With another season, Llama could get his own totally Llama-obsessed fanbase to call his own. Just like Rin Rin, only without the massive psychological issues…hopefully. To be fair, a lot of it is pretty pedestrian slice-of-life stuff that is appropriate for kids, but sometimes the show would go off in a gleefully absurd direction that I just loved. I’m really going to miss it. The most kawaii show out there. I miss this show so dearly. I’ve never been so sad when a show ended and I doubt I ever will be, it was the cutest thing there has ever been, after my wife. I’m gonna miss this show so much 🙁 I get the feeling they are ending it due to the mess with the original author not getting paid. I feel like trying to appeal to her, even she admitted the anime to be high quality, so if they reimburse her for her losses I don’t see why she would be against a second season…. I feel a petition must be made. Not just for that reason but also to let the origional author and anime studio know just how many fans this series had overseas, and not just in Japan. It may then lead to a local release… Maybe. This show needs a sequel. Maybe it should delve into why there’s a universe where humans can be served coffee or booze from a respectable bear at your nearest local cafe. 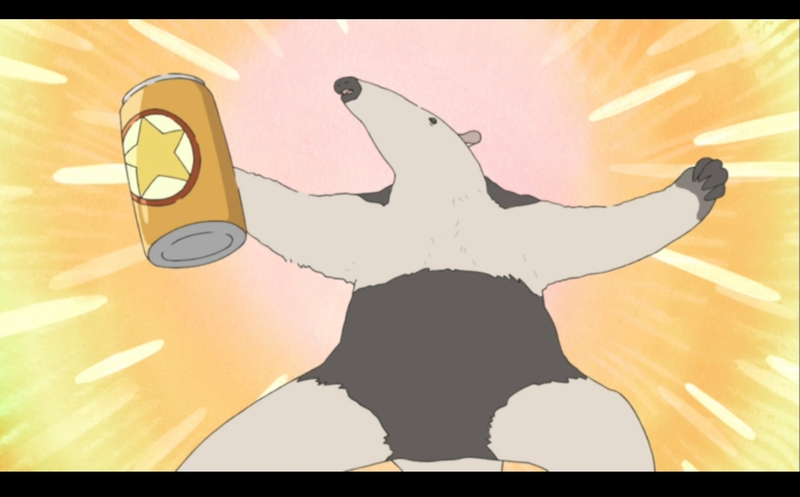 I miss Shirokuma Cafe so much. There should be a second season soon. It would be such a shame if this one of a kind, one of my greatest show had to end with just one season. Simply not acceptable!